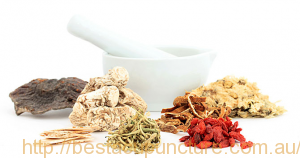 Over the past 5,000 years, Chinese herbal medicine has evolved into an art form of its own. Ancient herbal information was gathered, complied, formulated, tested, and handed down from generation to generation. Today, practitioners of Chinese medicine continue to prescribe herbal formulas because they are a powerful therapeutic method. The prescribing of Chinese herbal medicine is based upon individual pattern differentiation using “four techniques diagnosis” including pulse and tongue. Individual herbs are combined to form a formula to increase the benefits of particular actions, and minimise any harmful side effects. Chief (Jun）herb – has the greatest effect upon the principle problem and is the most important ingredient. It is the energetic and therapeutic focus of the entire formula. Adjuvant (Chen) herbs – strengthen the curative action of the chief herb. These herbs usually address secondary signs and symptoms. Assistant (Zuo) herbs – The role of assistant herbs is to support and reinforce the effects of other herbs. They also help moderate or eliminate any harsh properties of herbs within the formula. Guiding (Shi) herbs – harmonise, guide and focus the action of the entire formula on certain meridians or areas of the body. Chinese herbal formulas combined this way offer specific synergistic actions and effects upon body and mind. The art and skill of creating a formula lies within choosing the precise and most effective herbs that target an individual’s disharmony. It is important to work with a qualified herbalist who can prescribe the correct formula, monitor progress and adjust it as needed. Some substances that were used traditionally are no longer part of modern professional Chinese herbal medicine practice. For example, traditional remedies with extracts of endangered species have been replaced by other substances with similar actions. We support and adhere to the CITES list of endangered species. Melbourne acupuncturist & Chinese herbalist Dr. Rayman Wu is a fully qualified acupuncturist and Chinese medicine practitioner. 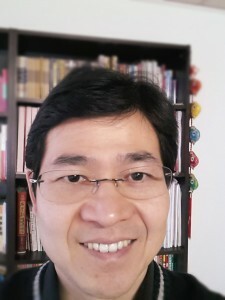 He is registered with the AHPRA, and he is an accredited member of the Australian Acupuncture & Chinese Medicine Association (AACMA) as well as accredited member of the Federation of Chinese Medicine and Acupuncture Societies of Australia (FCMA). Call 03 8839 0748 or make online appointment to see how acupuncture and Chinese medicine can help you.